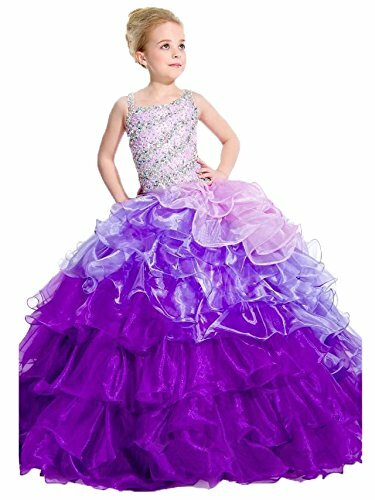 This is cute asymmetrical 2016 girls' pageant dress with gradually changing color.The dress is full crystals of the bodice.The fabric of the dress is soft tulle. To make the dress more puffy and pretty, you need to prepare a petticoat to match that, you can also purchase one from our store. The dress is asymmetrical neck with crystals decoration girls' pageant dress. The dress is gradually changing color.The fabric of the dress is soft tulle.